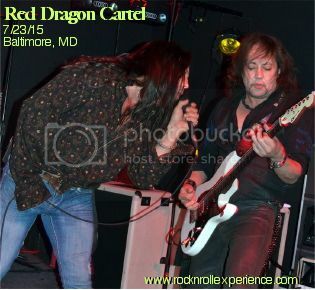 Jake E. Lee and his Red Dragon Cartel made a return to the Maryland area on July 23rd and this version featured the bands 5th lead singer. 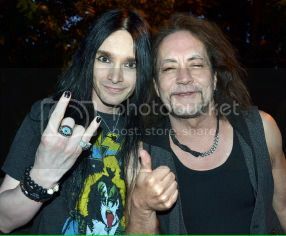 New singer Shawn Crosby is the perfect fit for the band, he brings back the old school Ray Gillen vibe and much of the set was a bit bluesier than before. I chatted with Shawn before the show and he told me that if he had his way the set would be all Badlands material because that’s his favorite stuff to sing in the show. Set wise the band played an 11 song set which lasted just around 90 minutes. 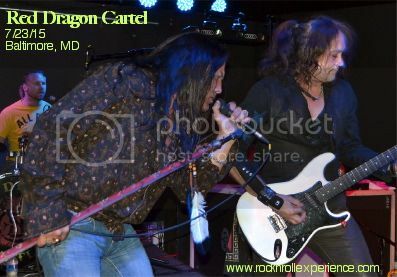 The reality is that this version of Red Dragon Cartel is much better than the previous line up. The only sad part of this show was the very low turn out which was due in part to it being a Thursday night. “High Wire” & “Dreams In The Dark” sounded amazing with Shawn on vocals and I was a tad bit surprised they included “Shot In The Dark” to the set because that’s one song I’d never seen Red Dragon Cartel perform live.